Our son Chris is one half of our set of twins. Chris is 14 years old. By the time Chris began to show symptoms of his mitochondrial disease, his sister Max had already been diagnosed. Chris is physically very talented. He began playing tennis at a very young age and many thought he had a great tennis future ahead of him. But by age six, having enough energy to do the things he enjoyed most became a challenge. Chris was exhausted after playing just one set of tennis. By age eight Chris could no longer play a match. Chris learned to surf at an early age. He continues to enjoy a bit of surfing during the summer. He continues to enjoy archery and is now shooting with a team in San Francisco on a weekly basis. His greatest passion remains fishing. Whether going out on a boat to fish in the ocean, or lake fishing, fishing with Dad is one of his favorite activities. This summer Chris attended a pre-college program at San Francisco Art Institute. He took courses in black and white and digital photography and produced some beautiful images. He also attended camp at the Olympic Training Center coached by the US Archery Team. 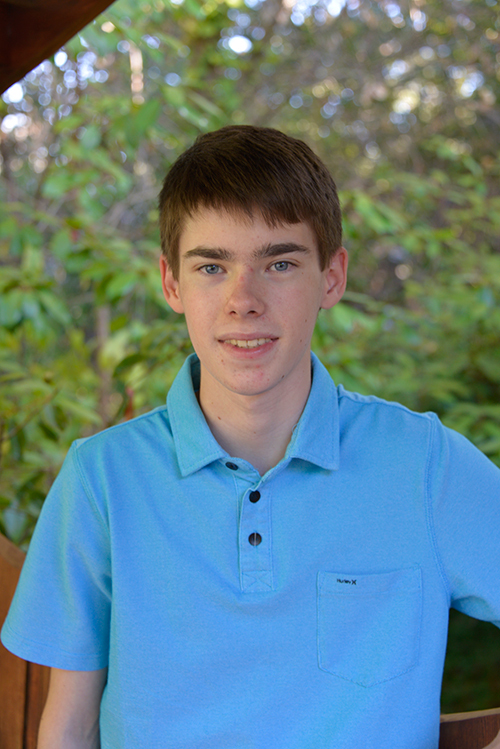 This will be Chris’ third year with his favorite school elective, Java programming. He recently designed his own website. He is eagerly anticipating traveling to Europe in September with his family. Chris struggles with asthma and fatigue. The mito cocktail, nebulizers and inhalers are a part of his daily life and enable him to do the things he loves.. He and his sister enjoy custom schooling. This enables them to learn at their own pace. Covering curriculum in smaller segments, spread over a day, makes for more energy efficient learning. Thank you to Seattle Children’s and Dr. Saneto for working to see that kids like Chris can live out their dreams.